Delhi: Over 500 less fortunate children from 22 cities across India came together to visit the Taj Mahal in Agra. For most of them, not only was this their first trip to Taj Mahal, but was also their first time in an aeroplane! 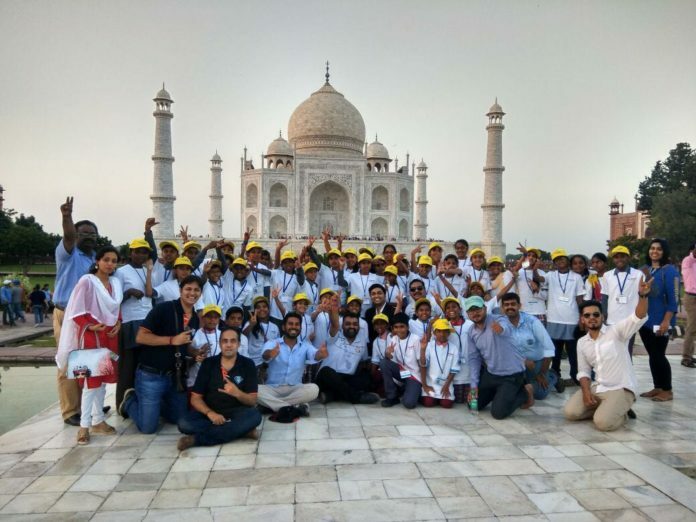 Aged between 10 and 17, these children were taken on a two-day guided tour of the Taj Mahal and other monuments of Fatehpur Sikri. BookASmile – the charity initiative of India’s largest online entertainment ticketing platform BookMyShow, extended support to Round Table India’s ‘Flights of Fantasy’ program to give all these children a travel experience that they would cherish and remember forever. BookASmile has always partnered with like-minded NGOs in unconventional spaces of social work and always believes in supporting the less fortunate with dreams, experiences and life-skills. With the ‘Flights of Fantasy’ initiative, BookASmile provided a fun learning experience for the underprivileged that they happily took home with them. Round Table is an organization of young men aimed at promoting community service and goodwill in National & International Affairs. Round Table is present in 67 Countries worldwide with over 65,000 members. 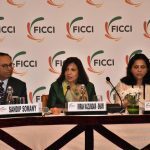 In India there are more than 280 Chapters / Tables spread across 105 Cities & Towns with over 4000 members who are entrepreneurs, technocrats & professionals. Round Table India is involved in building School infra like Class Rooms, Toilets and providing other amenities like Drinking water facility, Library, Science lab etc to government or government-aided schools across the country that are catering to children from underprivileged sections of the society. Since 1997 Round Table India has built over 5736 Classrooms in 2371 Schools impacting 6 Million children across India at an outlay of Rs.212 Crores.